Emily started at Whiting & Partners in September 2015 after completing her A Levels. Since joining the firm, she has completed her AAT qualification and is currently studying towards ACCA. 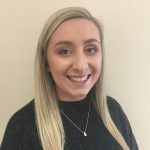 Emily works across various different departments including Accounts, Payroll and Tax; showing a particular interest in Cloud Accounting software in line with Making Tax Digital. Emily is a member of the Charity Committee and Social Media Committee across the firm.